Find out which sports these nine UC schools really excel in. The UC Santa Barbara Gauchos have won five Big West championships since 2001. Not every UC is created alike, and that goes for their athletic programs, too. If you’re interested in being an athlete at one of the nine UCs that participate in intercollegiate sports, familiarize yourself with the programs for which each school is best known. In addition to NCAA sports, most UCs also offer students the option of participating in intramural sports. The University of California, Santa Barbara, has been called “Soccer Heaven” and we can see why; the men’s soccer team has made nine NCAA tournament appearances, two College Cup title-game appearances, and they even laid claim to the 2006 national championship. The University of California, Los Angeles, is known for its strong athletics across the board, but its men’s basketball team is particularly impressive; they’ve made 45 NCAA tournament appearances, 18 Final Four appearances, and have received 11 national championships. As an added bonus, the school has three separate basketball gyms, winning it a spot on Best College Reviews’ list of most amazing collegiate recreation centers. The University of California, Santa Cruz, may not be a sports powerhouse like some other UCs, but the Banana Slugs have certainly made an impression with their men’s tennis program -- the team became the first Division III team to win an outdoor and indoor championship in the same year, and they’ve won a total of six national championships. UC Santa Cruz is the only NCAA Division III athletic program in the UC system. San Diego’s perfect weather must be motivating its UC students to get in the water: The University of California, San Diego’s women’s swimming and diving team is currently ranked fifth in the NCAA Division II. Crew became University of California, Berkeley’s first organized sport in 1868, and its program has skyrocketed since; Cal’s men’s crew team has represented the U.S. three times in the Olympics and has won 16 national championships. 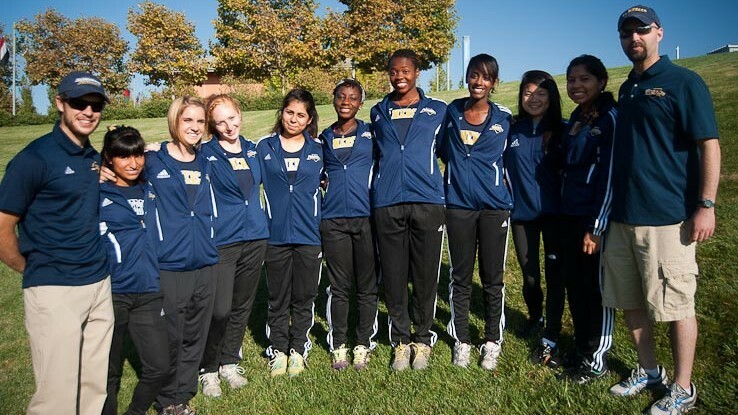 The University of California, Merced, isn’t well known for its sports teams, but its men’s and women’s cross country teams have recently been impressing: Both teams won third place in the 2013 Cal Pac meet. UC Merced's mascot is a bobcat named Rufus. The University of California, Davis, has a lot of good sports teams, but it really holds its own when it comes to football: The Aggies are currently ranked seventh in the NCAA’s Division 1-AA’s Big Sky Standings. The University of California, Riverside’s athletic department is most proud of its baseball program, and for good reason; the team has won two Division II national championships and one Big West Conference Championship for UCR, as well as laid claim to four jersey numbers on the Wall of Honor (Jack Caroll’s, Jack Smitheran’s, Eric Show’s and Troy Percival’s). The University of California, Irvine’s men’s volleyball team has really been excelling over the past few years -- its 2006-2007, 2008-2009 and 2011-2012 teams all won NCAA Division I national titles. UC Irvine's mascot is an anteater named Peter. If you’re an athlete who wants to attend college in California, get excited about your future -- you have plenty of great options to consider!